Check out the newest sub-board in the comics section! A long time member of the Pokemon Crossroads comics section has finally gotten its own board! 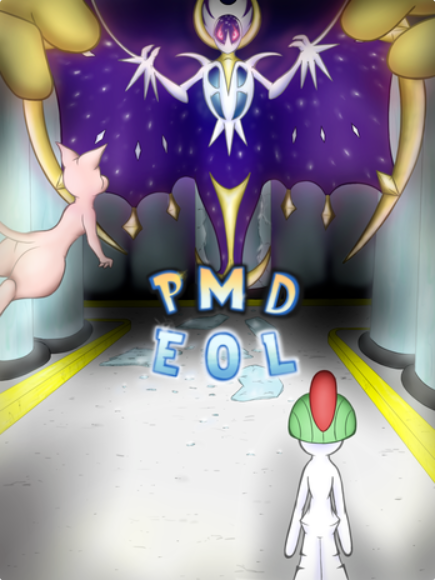 PMD: Explorers of Life by user arnisd now has its own sub-board in the comics section. The comic is a great read as well, currently boasting a prologue and seven chapters. Based on Smackjeeves and Pokemon Crossroads, the comic stars a human turned Mew and a Ralts who refuses to evolve. With humans having gone extinct and Pokemon left to clean up the mess, this dynamic psychic duo with travel and complete various missions to uncover the mystery of why a human was brought back in the first place. The comic itself has a very unique art style that is both distinct and recognizable, but also shows continual improvement throughout the entire comics runs. The characters are all dynamic and interesting as well, with unique personalities and traits that make them easy to remember. But overall, the story is one filled with mystery, and with all the little hints scattered through the prologue and first seven chapters thus far, it is a comic worth looking into to see where this unique plot goes from here. There’s been no better time to catch up with PMD: Explorers of Life, so you can check it out on Smackjeeves if you want to give it a quick binge read and be sure to check out its new sub-board on PXR. ← Details about the Pokemon GO Earth Day Event!